You love sunflower oil, experiment with peanut oil every now and then and call olive oil your favourite heart-healthy superfood. 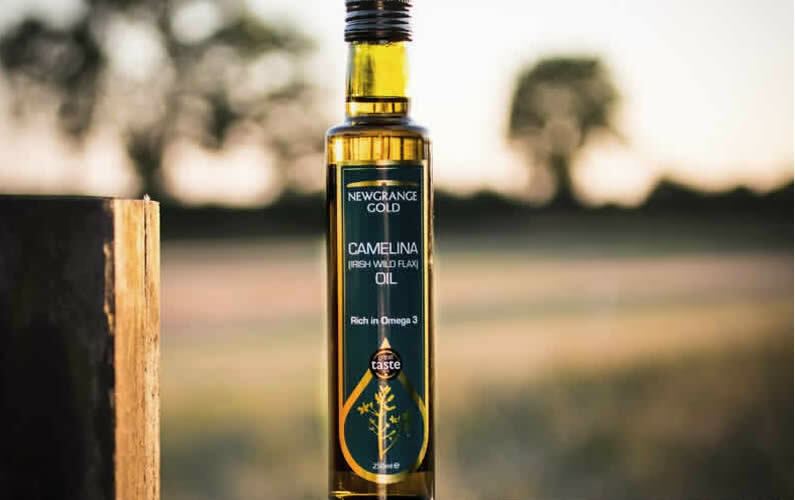 But new research suggests that you need to add another oil – one you might not have heard of before – to your cupboard: camelina oil. The study, published in the journal Molecular Nutrition & Food Research, investigated how camelina oil, which comes from the camelina plant and is native to Finland and throughout Europe, affects the cardiovascular health of men and women with prediabetes. The telltale sign of prediabetes (and Type 2 diabetes) is insulin resistance, which can negatively affect heart health and is linked with high overall and LDL (bad) cholesterol levels, explains Dr. Christopher Hollingsworth, a surgeon with NYC Surgical Associates who specializes in non-invasive vascular surgery. For the study, University of Eastern Finland researchers instructed the 79 participants to eat either fatty fish (like salmon or mackerel) or lean fish (like bass or cod) four times per week, or to take a daily 30 milliliter dose of camelina oil for a period of 12 weeks. While fatty fish contain the omega-3 fatty acids EPA (eicosapentaenoic acid) and DHA (docosahexaenoic acid), which are known to protect the heart by preventing plaque buildup in the arteries, little research has investigated how the other type of omega-3s, ALA (alpha-linolenic acid), of which camelina oil has a ton, protects the heart. Traditionally, EPA and DHA have been considered the “more active” types of omega-3s, and even though some ALA converts in the body to EPA and DHA, it’s a minimal amount, Hollingsworth says. So what the study found is actually pretty surprising: Camelina oil had a positive effect on blood cholesterol levels, but no similar effects were observed for fatty or lean fish. “[Neither] fish oil nor fish have been shown to be hypocholesterolemic,” or cholesterol-lowering, explains Ursula Schwab, lead study author and professor of nutrition therapy at the University of Eastern Finland’s Institute of Public Health and Clinical Nutrition School. “On the contrary, fish oil supplements may have an increasing effect on LDL [bad] cholesterol concentration.” (While fatty fish can help lower triglycerides, another type of fat in the blood, they don’t actually lower cholesterol levels.) However, camelina oil certainly does. Yes, camelina’s ALAs are likely responsible for much of the oil’s cholesterol-lowering benefits. According to Iowa State University, 94 percent of the fatty acids in camelina oil are unsaturated, and 38 percent of them are ALAs. For comparison’s sake, canola’s ALA content clocks in at 6.6 percent and sunflower 0 percent, per Oregon State University. What’s more, camelina oil is rich in vitamins and antioxidants, says Hollingsworth, explaining that those compounds may suppress the biological reactions that lead to inflammation in the body. It’s particularly rich in vitamin E. While the current study didn’t find that camelina oil (or fish, for that matter) decreased markers of low-grade inflammation, prior research shows that vitamin E has an anti-inflammatory effect on the cardiovascular system. Another benefit of camelina oil’s vitamin E: The nutrient makes camelina more stable than many of its oily counterparts, according to Oregon State University food scientists. In other words, you can cook with it at a high heat – up to 475 degrees Fahrenheit – without its nutrients degrading. Olive oil, on the other hand, breaks down closer to 350 or 400 degrees, depending on the type. So, if you’re going to try out camelina oil – which you can easily find online, if not in your local health foods store – Kate Patton, a registered dietitian at the Cleveland Clinic who specializes in preventive cardiology, recommends using it to saute or even fry foods on the stove. Its light, slightly nutty taste can be ideal for foods like eggs that you don’t want taking on olive oil’s olive-y flavour. Still, camelina’s benefits aren’t reason enough to use it (and a lot of it) at every meal. In the study, people consumed about 2 tablespoons per day, which adds up to about 240 calories, so start small, try it in place of other oils and get your cholesterol levels checked before upping your oil habit on the whole.